'Jews are no longer allowed to keep pets'. 'Jewish employees can be fired without notice or compensation'. 'Aryan and non-aryan children are not allowed to play together'. The brightly coloured signs in and around Schöneberg's Bayerischer Platz constitute what's arguably Berlin's most harrowing Jewish memorial - a hard-hitting, heart-breaking insight into regulations which systematically deprived Jews (and other 'non-aryans'), of their jobs, rights and, eventually, lives. 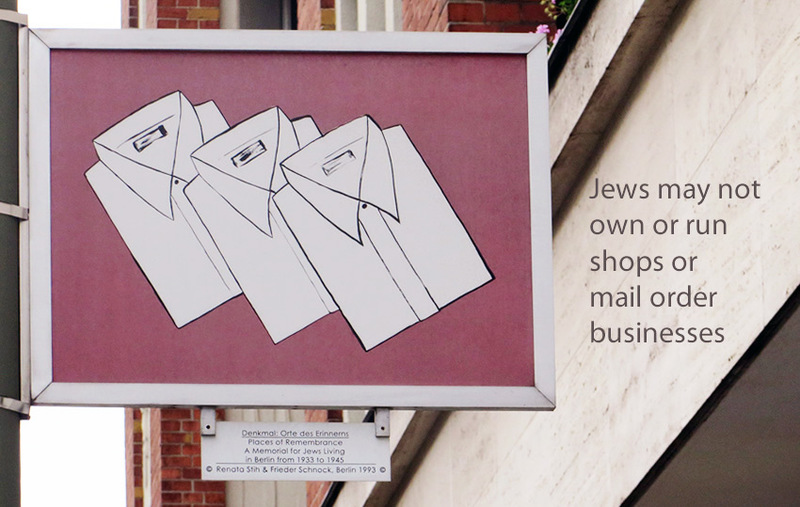 Created in 1993 by Berlin-based artists Renata Stih and Frieder Schnock, the controversial public art installation (named Orte des Erinnerns, or Places of Remembrance) consists of 80 placards printed with simple graphics and a short summary of some of the Nazis' most disturbing anti-Semitic legislation. The monument's location is particularly apt. 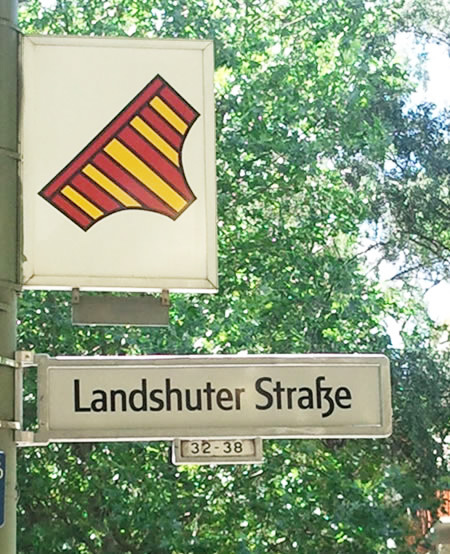 As a former Jewish neighbourhood, the 'Bavarian quarter' was once home to artists and intellectuals such as Billy Wilder and Albert Einstein, but eventually became an unofficial ghetto where many of Berlin's Jews were forcibly confined before deportation. 'Baths and swimming pools in Berlin are closed to Jews'. Yet despite the installation's relevance as an acutely sombre lesson in history, it remains unknown to many Berlin visitors - almost certainly because the texts themselves are in German. To remedy this, we're including a link to Stih and Schnock's website, with enlargeable maps showing the location of each placard and English translations. Because, quite simply, a memorial this important needs to be understood. Jewish memorial 'Orte des Erinnerns / Places of Remembrance': Bayerischer Platz and surrounding area, 10779 Berlin. 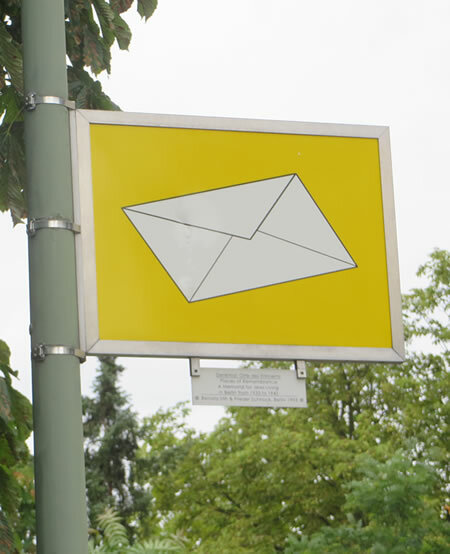 Maps detailing the location of each plaque can be found in the Rathaus Schöneberg, Bayerischer Platz and Münchner Straße - or download maps with English translations here.